We (Kemp and Kemp) set up Independent Weddings to provide a free resource for brides and grooms to use when they are planning their own, unique, wedding. All of the venues on Independent Weddings let you 'do your own thing'. Your wedding is YOUR day. Working within the wedding industry, we see amazing venues and work with wonderful suppliers every day - and we didn't want to keep them to ourselves. We have worked with almost all of the venues and suppliers on this website and those we haven't worked with come highly recommended. If you book your catering with Kemp and Kemp, there are some amazing discounts to be had too! We didn't like the packages being offered by all the conventional and more commercial venues. It seems to me like our day would be like hundreds of others before it - so I began looking for caterers who I thought might be able to point me in the direction of a less conventional venue, so was really pleased to find your website. We have reviewed every venue on the independent-weddings website and have made a couple of enquiries as a result - it's a great start. And just so you know... none of the businesses on this website are recommended above any other. We take no responsibility for content and accept no liability for any goods or services mentioned by us on this site. We are however happy to make recommendations privately, but please e-mail us at info@independent-weddings.co.uk or telephone 0800 6444 566. We work with suppliers and independent wedding venues that follow our ethos of 'no-package' catering. We believe it is important to design your food around you, your venue and the season. Its nice and simple - we can make you anything you want to eat and we don't charge corkage (we'll even serve your own drinks). 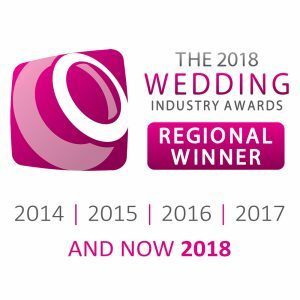 Our approach has won us 'Wedding Caterer of the Year' for the West Midlands in The Wedding Industry Awards five years running!